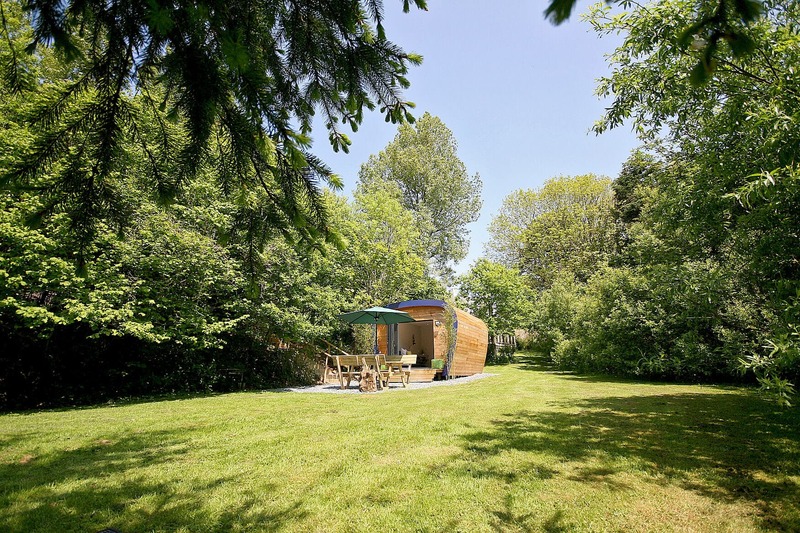 Located in the heart of Devon this luxury self catering EcoPod with private hot tub is the perfect romantic getaway for couples looking for a little escapism from their hectic lives. Compact but packed to the brim with all of the latest mod-cons this really is a luxury camping pod with that extra twist. 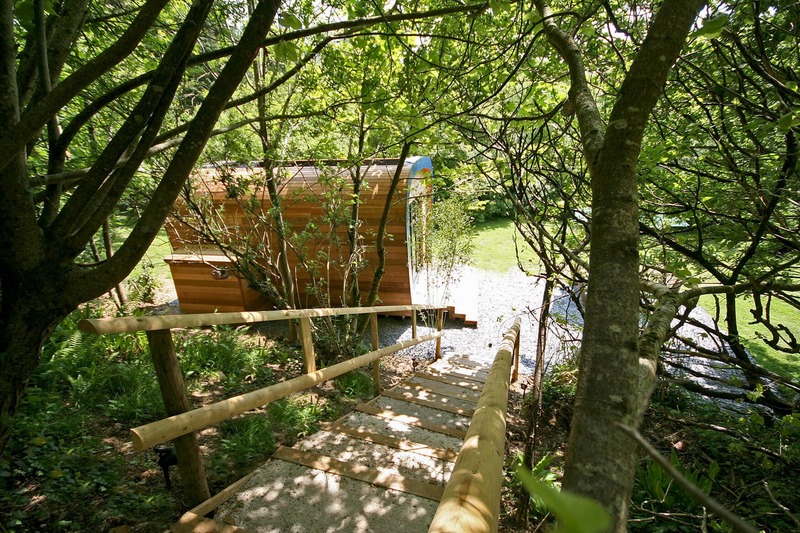 This unique luxury self catering EcoPod comes with all of the facilities you would expect for a relaxing holiday. 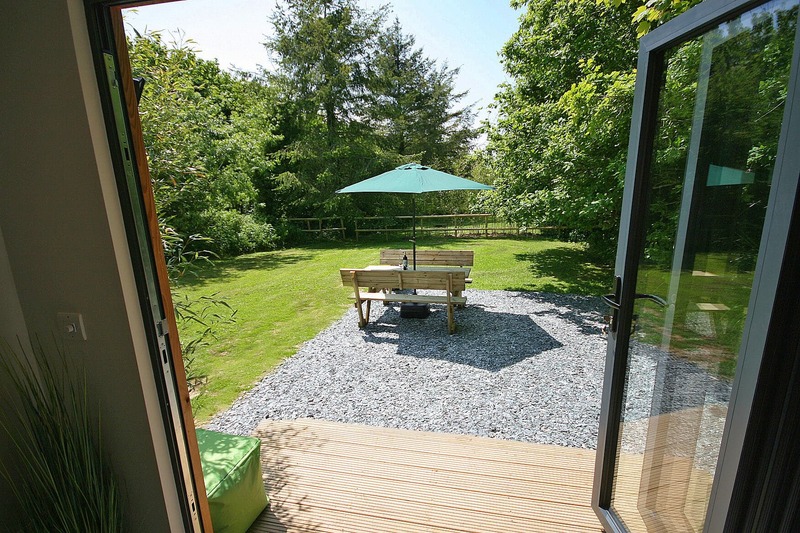 Here you can chill out, open the bi-folds and be completely surrounded by all that nature has to offer. 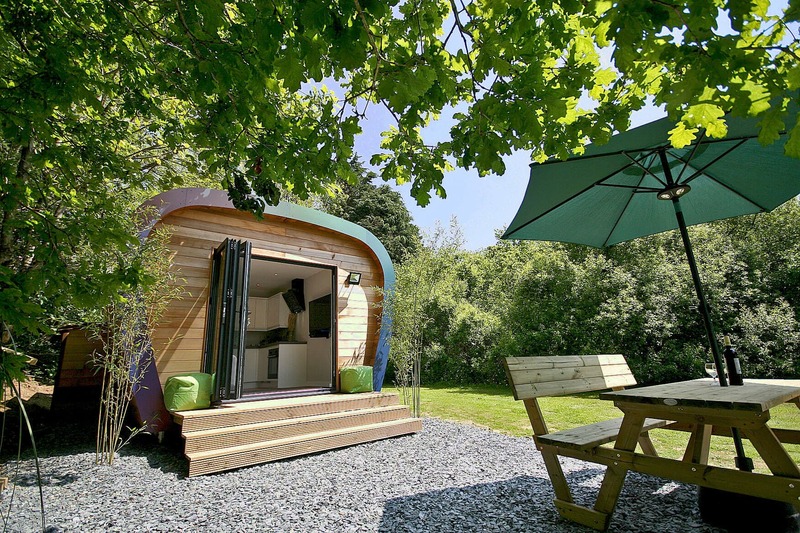 Inside this EcoPod in Devon, you will be greeted with gorgeous modern interiors. 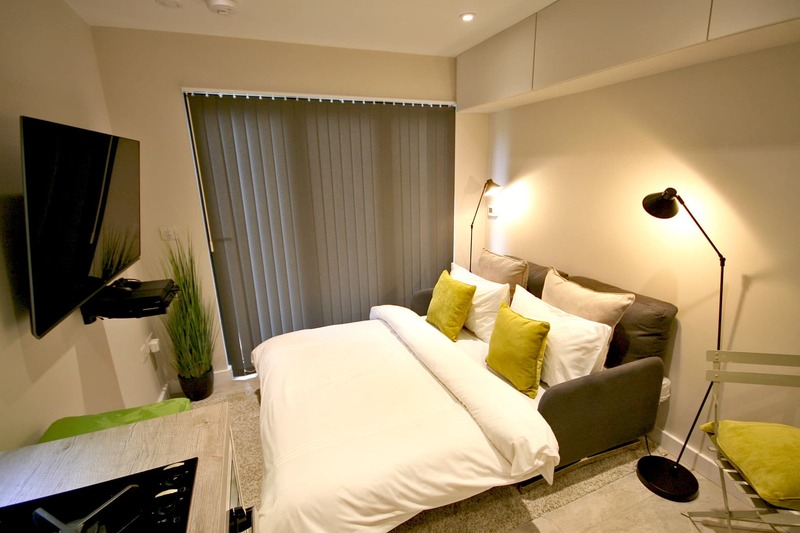 Just because our EcoPod is compact doesn’t mean you have to compromise on pure luxury. A contemporary German kitchen allows you to enjoy all of your favourite meals. 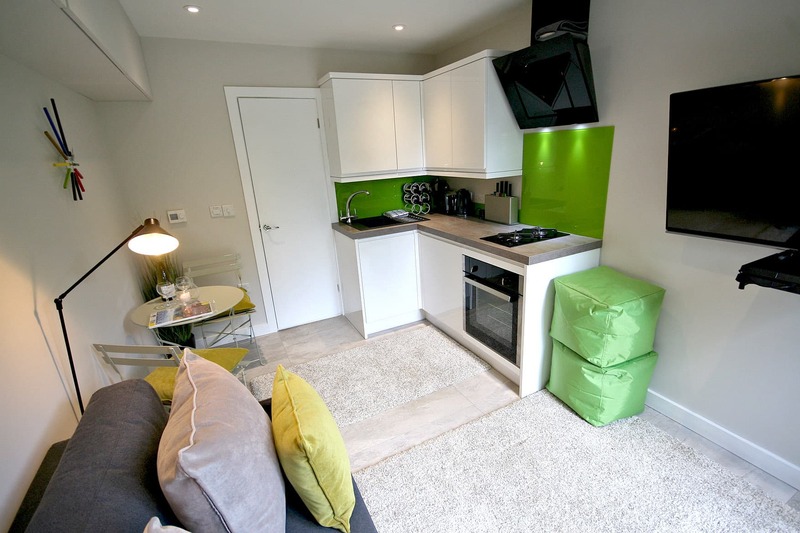 Fitted out with a fridge, gas hob and electric fan oven you can enjoy the all of the comforts of home. 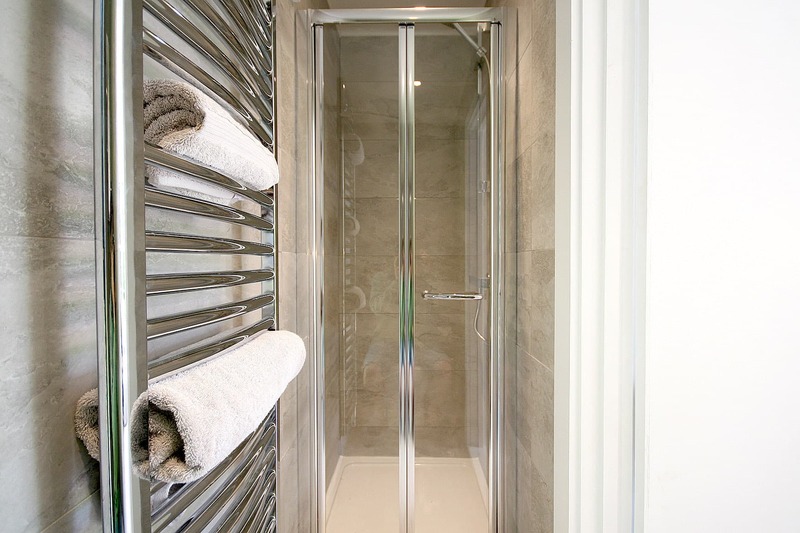 The bathroom comes complete with a powerful gas fired shower for those relaxing soaks, toilet and sink combo to maximise on space and a large towel radiator. If that doesn’t warm your soul we even have underfloor heating throughout. From the dining area you can gaze out onto the generous sized private lawn. 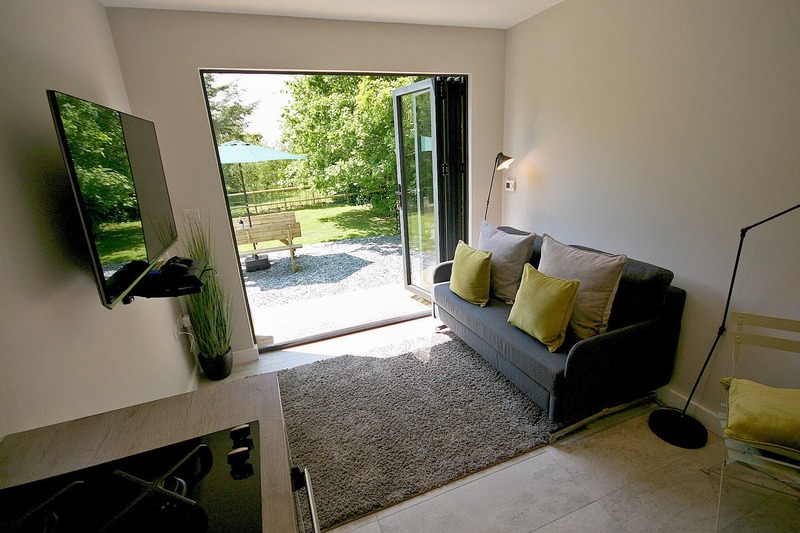 Large bi-fold doors open to a decked entrance and a picnic bench complete with large parasol and your own private hot tub with mood lighting. Here you can sit and relax while browsing the Internet via our free WIFI or make use of the supplied coal barbi if you fancy going back to basics. 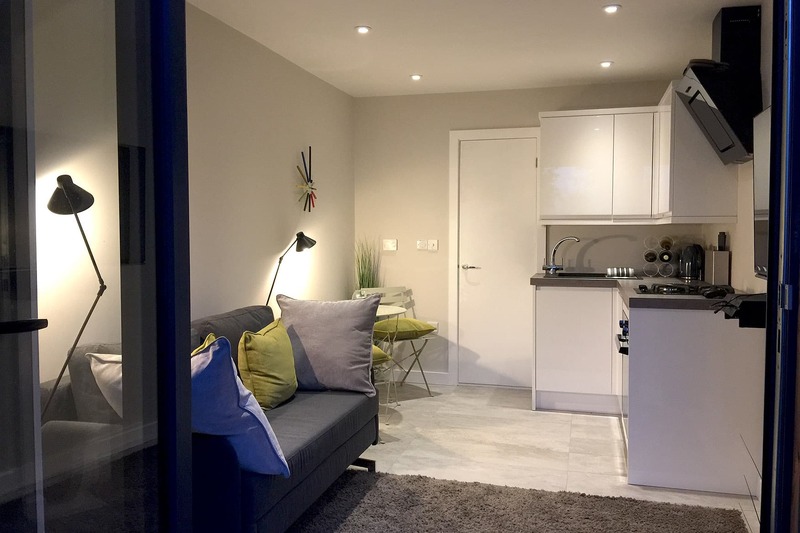 Complete with a sofa bed why not have a lie down in the 3D SNUG and watch a movie on our enormous 50 inch Smart 3D HDTV complete with 3D glasses and a selection of movies! We also provide a PS4 games console if that wasn’t enough. 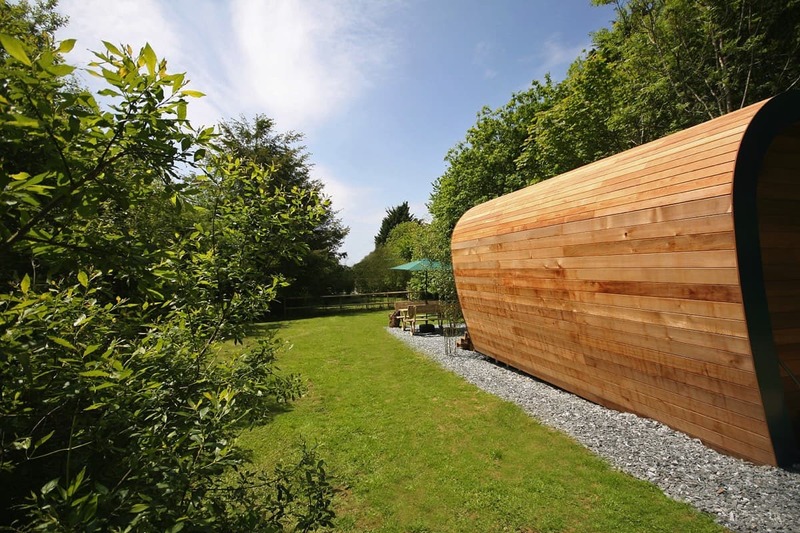 We really are the Best Glamping Pod in Devon! 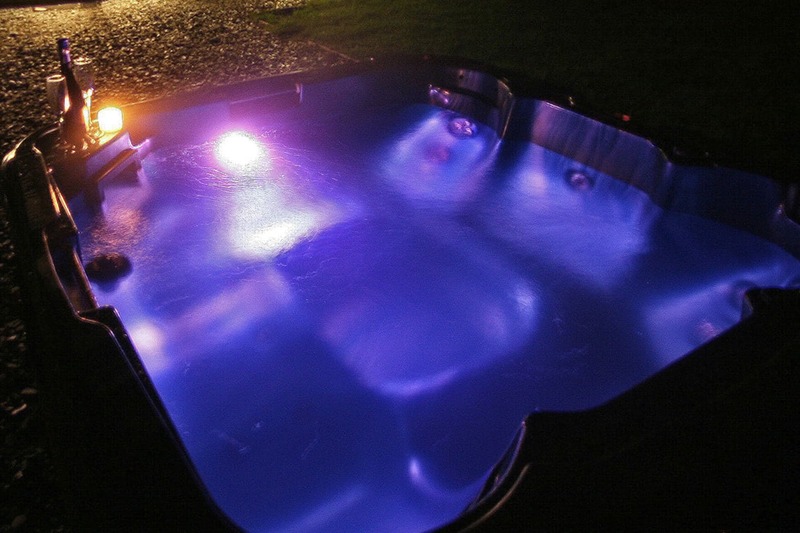 Sunridge EcoPod is a luxury, cedar-cladded pod with private hot tub ensconced in the midst of a gorgeous lawned hollow. High-end luxury interior includes contemporary German kitchen, underfloor heating and 3D Home Cinema. Half an acre of picturesque garden surrounded by woodland hedges. 2 Persons ideally. Or couples with a small child if you’re willing to cram in. Half an acre of private lawn space complete with coal fired barbi, picnic bench and private hot tub.